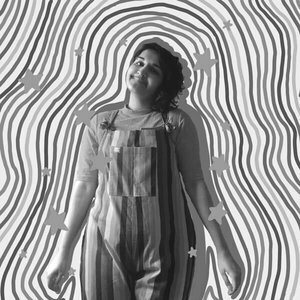 Soofiya is a visual artist, designer and design educator. Their art and design practice centers around illustration, visual identity and book design as mediums of dissemination. Soofiya’s work and writings aim to articulate a commentary on gender as a visibly gender-non conforming person, race as part of the south asian diaspora , politics and their relationship with their bodies. Soofiya is presently a lecturer at Ravensbourne in London and speaks, teaches and facilitates workshops across the UK, including Kings College - Cambridge, Pembroke - Oxford, York University, Feminist Library and more. Their speaking and workshops focus on graphic design, activism, politics and gender as well as writing on the subjects for a handful of independent magazines and newspapers. They regularly collaborate with creative folks and organisations, and undertake artists residencies at institutions around London and the South East. Soofiya’s work has been featured in various outlets like Creative Review, The Guardian, Metro and The Independent. Soofiya’s art, publications and work have been showcased at institutions globally including Tate Modern and Tate Britain in the UK, Parsons School of Design in New York and muca-Roma in Mexico City. Selected pieces of work have also been archived by the the Marriott Library in Utah, The National Poetry Library in London as well as other archives and libraries across the UK and internationally.